Predictions about “the end of college” are hardly new. For its part, Silicon Valley has been forecasting “disruption” and doom for higher education for a while now. “The higher education bubble,” as Peter Thiel called it back back in 2011, is poised to burst, leaving just a handful of universities (well, and ed-tech startups, of course). This year, predictions about “the end” weren’t (necessarily) about all of higher education. Maybe, some said, we’ll just see the end of small private colleges or the end of HBCUs. Or maybe we’ll see the end of for-profit universities. “Today, the for-profit-education bubble is deflating,” James Surowiecki argued in The New Yorker in November. 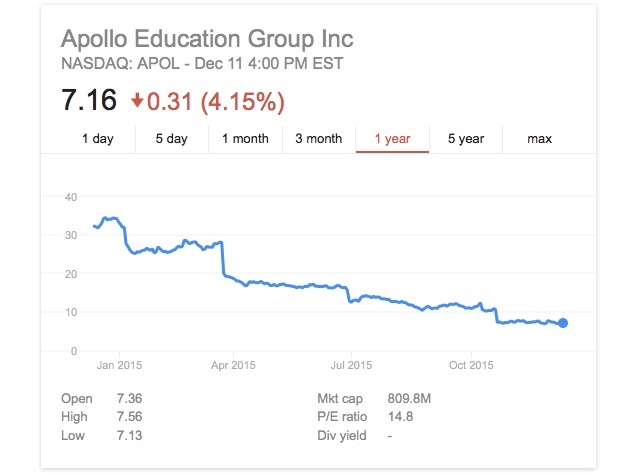 Despite the problems faced by for-profit universities, I’m skeptical that the industry is really on the verge of collapsing. Instead, I’d contend that it’s mutating into new forms and new markets. I recently wrote an article on “Coding Bootcamps and the New For-Profit Higher Ed,” and you can find a lot of my arguments there about these new alternate education providers as a continuation of older career colleges, antecedents to today’s for-profit higher ed. The locus has not completely shifted from Wall Street to Silicon Valley – that makes for a nice shorthand, I think, to describe some of the changes – but I do see some of the power shifting. As I have repeated several times throughout this series, we can see evidence of that in the confluence of many important trends in education and ed-tech – “the employability narrative,” alternative credentials, testing and other data-oriented education technologies, online education, and so on. Recommended reading: The Baffler’s “Cyborg Soothsayers of the High-Tech Hogwash Emporia” on Google-funded, unaccredited Singularity University. These data show that to the extent there is a crisis, it is concentrated among borrowers from for-profit schools and, to a lesser extent, 2-year institutions. We refer to these borrowers as “non-traditional” because historically there were relatively few for-profit students and because 2-year students rarely borrowed. As a result, these borrowers represented a small share of all federal student loan borrowers and an even smaller share of loan balances. However, during and soon after the recession the number of non-traditional borrowers grew to represent half of all borrowers. With poor labor market outcomes, few family resources, and high debt burdens relative to their earnings, default rates skyrocketed. Of all students who left school and who started to repay federal loans in 2011 and who had fallen into default by 2013, 70 percent were non-traditional borrowers. The default rate did fall slightly this year – from 13.7% to 11.8%. Colleges whose students have high default rates could face losing financial aid eligibility, but as Inside Higher Ed noted, the Department of Education tweaked how it calculated which colleges should be punished and as a result few were. This underscores what could be seen as the contradictory approach to for-profit higher education undertaken by the Obama Administration this year. While it has pushed for “gainful employment” rules in order to demand more accountability from for-profit colleges – indeed, it has tried to extend “accountability” throughout all education institutions at all levels – it also launched an experiment this year to allow MOOCs, coding bootcamps, and other alternate, unaccredited providers be eligible for financial aid. According to Course Report’s survey, 49% of [bootcamp] graduates say that they paid tuition out of their own pockets, 21% say they received help from family, and just 1.7% say that their employer paid (or helped with) the tuition bill. Almost 25% took out a loan. I’ve written a lot, in that article and elsewhere, about the so-called “skills gap” and the notion that coding bootcamps, learn-to-code MOOCs, and the like will lead to good, high-paying jobs. Perhaps they will; perhaps they won’t. But it’s important to remember that that has always been the promise of for-profit higher education, and the industry’s marketing practices have lured a lot of students into debt. The movement to forgive student debt, particularly those with debt from for-profit colleges, did not start this year although it had several important victories in 2015. Rolling Jubilee, one of the organizations leading the charge for loan forgiveness, has its roots in Occupy Wall Street, arguing that there’s a much larger connection between debt between economic injustice. By buying up debts on the secondary market and paying them off with donations, Rolling Jubilee announced last year that it had erased some $3.9 million in private student loan debt. But tactics started to change this year. Rather than buy back and pay off these loans, some student activists started to refuse to pay altogether. In March, Department of Education Under Secretary Ted Mitchell and officials from the Consumer Finance Protection Bureau and the Treasury Department met with some of these student “debt strikers,” part of a group called the Corinthian 100. At the time, the government officials did not seem particularly open or responsive to these students’ demands, and the group canceled a later meeting with the Department of Education in May, saying they felt like they were being used as a “publicity stunt.” “They’re using us so they can pretend to care about students,” said the Debt Collective’s Laura Hanna, who helped organize the student protestors. The Corinthian 100, as the name suggests, are students of the for-profit chain Corinthian Colleges, which runs schools like WyoTech, Everest, and Heald. Wait. That sentence should be in the past-tense. Former students of Corinthian Colleges, which ran… The disaster – lawsuits, investigations, bankruptcy, closure – of the now defunct Corinthian Colleges warrants its own section below. As the year went on, the Department of Education did respond to the requests to forgive these students’ loans. In April, nine states’ attorneys general urged the department to forgive the loans of students who attended Everest. In June, the Department agreed, announcing that students of Corinthian Colleges would apply to have their loans forgiven. “The department estimated that if all 350,000 Corinthian students over the last five years applied for and received the debt relief, that cost alone could be as much as $3.5 billion,” The New York Times reported. By September, it had forgiven the debts of some 3000 borrowers (out of 8000 who’d applied). In December, the Department of Education said it had granted the requests made by more than 1300 students who’d attended Heald College. Debt forgiveness shouldn’t just be for Corinthian Colleges’ students. That was the argument of three Senate Democrats who criticized the Obama Administration earlier this month “for settling a fraud lawsuit against Education Management Corporation last month without forgiving the loans of students who attended the for-profit college chain or holding the company's executives personally accountable.” In November, the for-profit Westwood College agreed to forgive the student loan debt of graduates of its criminal justice program – about $15 million worth of debt – as part of a settlement reached with the Illinois attorney general. And EDMC agreed to forgive the loans of some 80,000 students as part of a settlement it reached with several states’ attorneys general. Recommended reading: “These students were ruined by predatory colleges. Now they're getting even.” by Susie Cagle. As the massive venture capital investments this year in SoFi, Earnest, and other private student loan providers suggests, this problem is not going away, even if the government reins in its own loan offerings. Indeed, people will continue to go into debt for college as long as the job market places such a high value on a diploma. A diploma will lead to a (better) job – although clearly not all diplomas are valued equally. Again, we have to ask: how do we know if the debt or the diploma is worth it? The Obama Administration released the final version of its “gainful employment” rules late last year. These rules, which only apply to schools that are eligible for Title IV federal financial aid, would measure and monitor the debt-to-earnings ratio of graduates from career colleges and programs and in turn penalize those schools whose graduates had annual loan payments more than 8% of their wages or 20% of their discretionary earnings. Earlier versions were invalidated by a federal court in 2012, and while for-profit education providers did file a motion to block the new rules, a judge dismissed that challenge in May and another in June. Republicans in Congress, however, have added verbiage to a 2016 appropriations bill that would scrap the rules altogether. The New York City Department of Consumer Affairs announced in April an investigation of Berkeley College, Mandl School, and New York Career Institute and Technical Career Institutes over their recruiting practices and students’ loan default rates. In May, the Oregon Justice Department ordered for-profit Penn Foster College to pay more than $73,000 in order to refund a student’s tuition and to change its claims that it actually is an accredited school. In May, the SEC filed a lawsuit against ITT “charging the large for-profit chain and its two top executives with fraud for allegedly concealing massive losses in two student loan programs the company backed.” That same month, the California Department of Veterans Affairs ordered ITT to stop enrolling new or returning students who plan to use GI Bill benefits. Kaplan Career Institute and Lincoln Technical Institute announced in July they’d pay $2.4 million in a settlement with the state of Massachusetts over allegations that the for-profits had inflated job placement numbers. In August, California’s attorney general said she was investigating the University of Phoenix for deceptive marketing practices aimed at veterans. 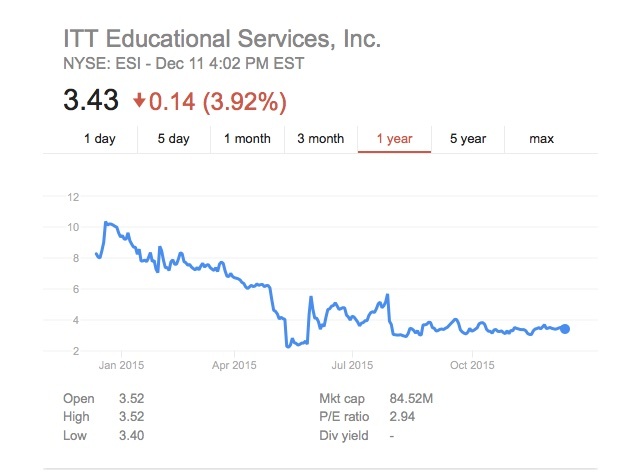 In August, the FTC said it planned to investigate for-profit education provider Career Ed. In October, the Department of Defense said it would bar the University of Phoenix from recruiting on military bases, and troops will no longer be able to use federal money to pay for classes at the school. The FTC also announced in October it was investigating the University of Phoenix. The Department of Education announced “stricter oversight” of ITT Education Services in October. Alejandro Amor, the owner of the for-profit college FastTrain, was convicted on twelve counts of theft of government money and one count of conspiracy in November. In November, Buzzfeed reported that Xerox is under investigation by the CFPB for its student loan business. But coding bootcamps and MOOCs are gonna be a totally different for-profit higher ed, right? Because the incentives are… yeah. This particular chain of for-profit colleges had been under fire for a while, accused by the CFPB of predatory lending and fined by the Department of Education for defrauding students, among other things. Last year, the US Department of Education had reached a deal with the chain to close or sell off all of its 107 campuses and online programs. The Canadian government, for its part, had shuttered fourteen Corinthian schools in that country. In February, the Zenith Education Group (a.k.a. 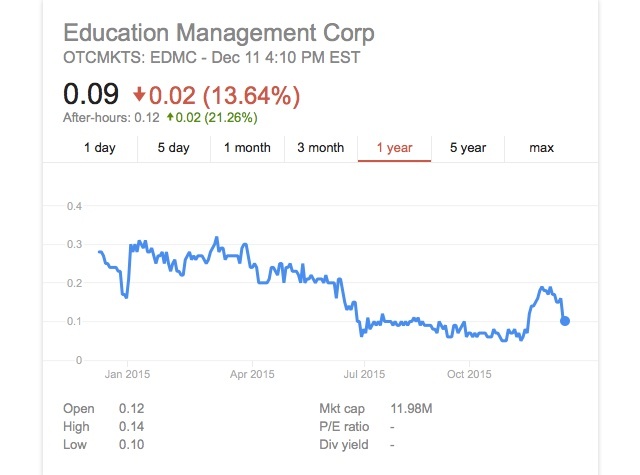 student loan debt collector ECMC) said it had finalized its acquisition of 50+ Everest and WyoTech campuses from Corinthian. Corinthian filed for Chapter 11 this spring, and while The New York Times said that its “lean business model” left little for creditors, the company did seek approval for a “fire sale of its remaining assets – including trademarks, furniture, and even old diplomas and typewriters.” The bankruptcy judge did earmark some of those assets – about $4 million – for a special fund for former students that could be used to pay off loans. Another judge ruled that the school was liable for about $530 million in damages to former students because of deceptive marketing and predatory lending. Perhaps that sounds like it should have wrapped up all the various legal investigations, but nope. Last month, the Department of Education and California’s attorney general said they’d uncovered even more students who were ripped off by Corinthian, which made false claims about its job placement rates. How does something like this happen?! It’s a special blend of lobbying efforts, dark money, accreditation oversight (or lack thereof), financial aid and financial motivations, deceptive marketing, “the employability narrative,” “credential creep” – you know, the politics of education and yes, ed-tech. Globe University and the Minnesota School of Business announced in February they were shutting down programs – “the latest development for the schools, which have been under increasing scrutiny since Minnesota Attorney General Lori Swanson filed suit accusing them of using high-pressure sales tactics to mislead students about their job prospects after graduation.” In March, AIB College of Business said it was shutting down and donating its campus to the University of Iowa. 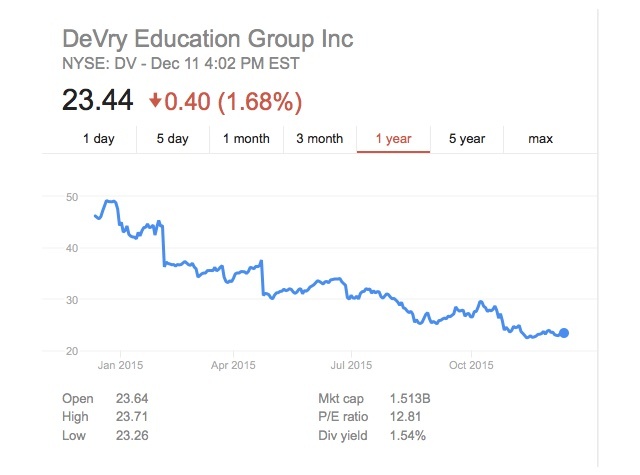 In April, DeVry University said it planned to close some of its campuses and “rebrand.” That same month the online for-profit Jones International University announced its closure. In May, Career Education Corporation and EDMC Corp announced they would close schools – the former, closing all its “career colleges” and the latter closing a quarter of its Art Institute campuses. In July, Mount St. Clare College announced it would close its doors in 2016. 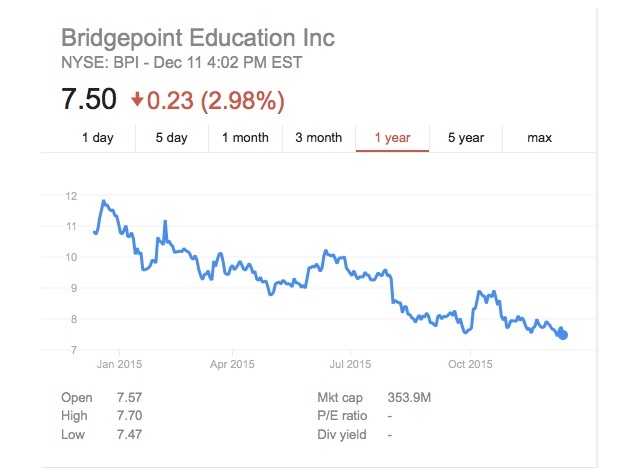 Bridgepoint Education bought the college in order to secure accreditation for its for-profit Ashford University, and apparently it has now served its purpose. In October, Dade Medical College closed. In November, Westwood College, a for-profit chain with 14 campus locations, said it had stopped enrolling new students. It wasn’t just for-profit universities that closed either, as a number of small religious and liberal arts colleges also shut their doors, including Clearwater Christian College, Marian Court College, George Wythe University, and American Indian College. Education analyst Bryan Alexander continued this year to cover what he’s called the “queen sacrifice” – that is, moves made by university administrators to ax degree programs and lay off faculty. Again, this isn’t something that solely affected the for-profit sector; indeed, it’s just as much a reflection of what happens at publics as their funding shrinks. But while some of this is related to budgetary issues, the types of programs that are cut echoes what I’ve written previously about “the employability narrative” – that is, it’s the liberal arts and social sciences on the line most often, while technical, business, and engineering classes – the kinds that for-profits have long specialized in – remain. 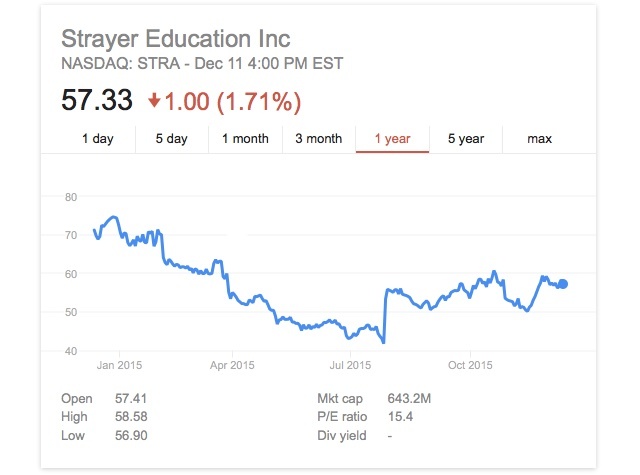 Despite the decrease in enrollments and revenue and an increase in layoffs at some for-profit colleges, there was plenty of business activity this year, including an IPO filing for the largest company in the business, Laureate Education. Or rather, it said it planned to IPO again, as it was a publicly traded company until 2007 when it was sold to a private equity firm. In preparing for its IPO, the company announced that Bill Clinton would be stepping down as “honorary chancellor.” Or maybe that should read “in preparing for the presidential campaign…” Bill Clinton earned some $16.5 million between 2010 and 2014 for the job. According to emails released by the State Department as part of the “email scandal,” Hillary Clinton had also pushed for Laureate to have a seat at a higher ed policy dinner hosted by the department during her first year as Secretary of State. It’s worth noting perhaps: the State Department partnered with Coursera to promote MOOCs globally. Laureate is an investor in Coursera. Some other business transactions in the for-profit higher ed sector: Education Corporation of America bought thirty-eight Kaplan campuses. Apollo Education Group, the parent company of the University of Phoenix, acquired the coding bootcamp Iron Yard. 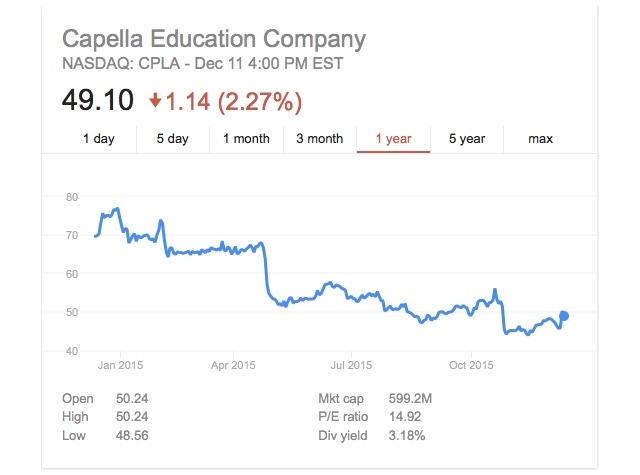 Like I said, for-profit higher ed isn’t collapsing; it’s just shuffling over to where it thinks the money will be. I’d be remiss if I didn’t note here the business transactions in the for-profit K–12 sector. After all, the $100,000,000 invested in AltSchool, a private school startup founded by former Google exec Max Ventilla, was one of the largest VC funding rounds this year. Using the “chain” model of charters and for-profit colleges, AltSchool says it plans to expand out of Silicon Valley to new cities in different parts of the US. Other industries try to do the same, no doubt. This fall, The New York Times wrote about “High School Football Inc,” a look at private, for-profit schools that focus on sports. The tax status of education providers is just one example of where the clear line between for-profit and not-for-profit might be blurring. A similar issue also shows up at the K–12 level in the US with debates about whether or not charter schools are public or private. (This was certainly the question at stake when the Washington State Supreme Court declared charters unconstitutional this fall.) The explosion of ed-tech in recent decades and the propensity for schools to outsource various tech services to for-profit companies – course design, course “delivery,” learning management systems, assessment, and so on – muddies definitions here too. I feel like accusations of “privateers” and privatization get bandied about in education debates rather carelessly. Then again, Illinois state senator Bill Brady did propose privatizing the state’s higher education system this year. And he wasn’t alone in suggesting that this might be the best path forward for the education system. “The New American University,” at least as envisioned by ASU President Michael Crow, relies not simply on a model of reduced public funding but on technology, adjunct labor, skunkworks, “managerial autocracy,” and corporate partnerships. (“Terrifying.”) Elsewhere in terrifying visions of the future: from The Chronicle of Higher Education, An Online Kingdom Come: How Liberty U. became an unexpected model for the future of higher education – that’s Liberty University, founded by televangelist Jerry Falwell. In other partnerships of the word: The Chronicle of Higher Education suggested that all this “disruption” was drawing universities and media companies together: “The University of Southern California is joining forces with Wired; Northeastern University with Esquire; the Financial Times with a group of business schools; and the University of Oklahoma with the History Channel.” Fortune teamed up with Cornell University for an online business certificate. Strayer University partnered with The Daily Mail for an “elaborate year-long branded content deal.” Strayer also partnered with Fiat-Chrysler car dealerships, whose employees will have their tuition covered. 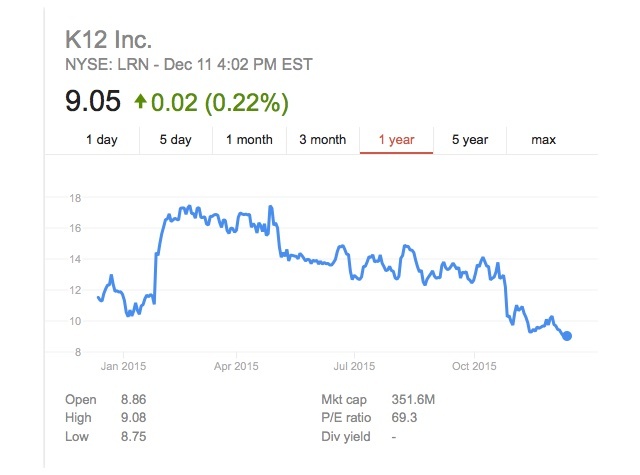 As I noted above, the University of Phoenix acquired the coding bootcamp Iron Yard. Last year, Kaplan acquired Dev Bootcamp. This year, the University of New Haven partnered with the coding bootcamp Galvanize in order to launch a master’s degree program in data science. SNHU partnered with the coding bootcamp Flat Iron School. Lynn University partnered with General Assembly to offer a 15 credit “study abroad” program facilitated by the coding school. Meanwhile, the credit rating agency Moody’s said this fall that bootcamps would be a “credit positive” for institutions. Does legitimization come from the federal government, from the availability of financial aid, from the regulatory or accrediting agencies? Does legitimization come from marketing, from the drumbeat of advertising that insists these schools will cater to you? Does it come from having Wall Street or Silicon Valley behind you? Does it come from investors or from the media? Does it come from offering online classes or from using "the latest technologies"? Does legitimization involve a brand – the prestige of a school, the prestige of a partner corporation? Does legitimization come from having a sports team? I mean, the University of Phoenix doesn’t field a football team. But it does have its name on a football stadium, the site of the 2015 Super Bowl. Go team. And whose credentials from for-profits, whether career colleges or coding bootcamps, are seen as "legitimate"? Which students benefit, and which students get exploited – past, present, and future.